Michael Jackson throws after his death still a powerful shadow. After Bob Baldwin’s tribute album Never Can Say Goodbye three further giants of smooth jazz present their very own homage Human Nature (2013). 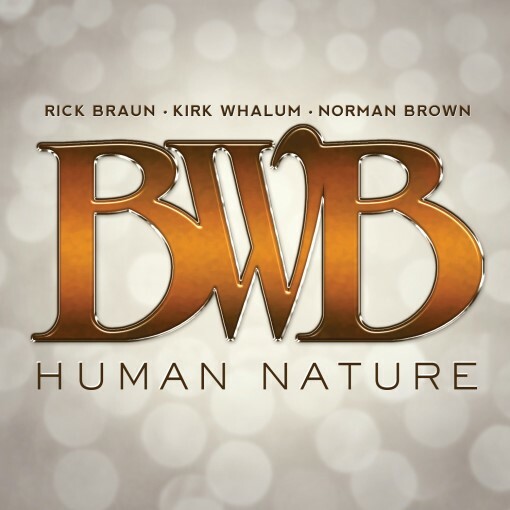 BWB is named after the musicians Rick Braun, Kirk Whalum and Norman Brown. Their first co-operation Groovin’ was released in 2002 on Warner Brothers. With their sophomore effort they reunited to do a Michael Jackson songbook. The formation is joined by John Stoddart (keyboards), Braylon Lacey (bass), Khari Parker (drums), Lenny Castro (percussion) and Ralph Lofton (organ). To do an album of just covers carries some risk, especially when the original is so often played. On the other hand good jazz musicians have to overcome such obstacles. That said the trio improvise on Another Part Of Me presenting their special skills and perfect written arrangement, thus transforming a well-known tune to a jazzy element. With Billie Jean they showcase brilliantly created harmonies. The concept is illustrated anew with the song Human Nature. A simple designed melody develops to a well thought out piece. A glance at the cover, and a jazz listener may go, “What the what?” It’s a photo of a young woman in burlesque apparel squatting over an old – think 1960s era – amplifier. That’s how Rock Candy Funk Party presents their debut album, We Want Groove (J&R Adventures, 2013). Instead of revisiting something like “Groove Is in the Heart,” this jazz-funk effort throws in some rock and a ’60s-early ’70s psychedelic attitude. The group is comprised of some experienced jazz artists who have also played other styles. They are Tal Bergman, drums and percussion; Ron DeJesus, guitar; Michael Merritt, bass guitar; Renato Neto, keyboards; and Joe Bonamassa, guitar. The set begins with “Octopus-e,” a hard rock piece fueled by the groove. Think of what might happen if you threw songs by Herbie Hancock, Aerosmith and early Commodores into a blender. Merritt’s bass line and Bergman’s stick work carry the piece no matter what’s going on out front. And what’s out front is that psychedelic vibe provided by the guitars and keys. In Amiri Baraka’s Blues People, he speaks of the connection between history, culture, a people and the evolution of rhythm and sounds. It is through Blues and its evolution into jazz that a people were and are able to express themselves and transform those around them. This connection is no more evident than in the sounds that resonate from the alto and soprano saxophones of Mr. Larry “SaxLO” Owens, also simply known as “SaxLO”. It was no surprise that “SaxLO” would become one of the most sought after saxophonist in the D.C./Maryland/V.A. area and beyond. For over 30 years “SaxLO” has perfected his craft. His mastery of the alto saxophone heightened his curiosity, as he would put forth the same effort in his mastery of other saxophones including the baritone, tenor and soprano. ”SaxLO’s” music repertoire includes a plethora of music genres including but not limited to Classical, Gospel, Big Band, and Contemporary Jazz. His ability to invoke emotion through his music is a testament of his ability to fuse his own life experience and knowledge of music as an art form that can transfix and transform. Eclectic Duality is now on sale at CDBaby. Solitude is a collection of smooth gospel inspirational jazz grooves. Perfect for reflecting, an evening drive or that afternoon gathering. Music to help release the stress of the day. Easy listening melodies with strong hooks and sweet vocals that will promote an atmosphere of calm and meditation.The songs are comprised of musically satisfying piano melodies and tantalizing saxophone solos. When you want to withdraw from the mental and emotional strain of the day, Solitude is the perfect melodious break. If you like Ben Tankard, Kirk Whalum, Wayman Tisdale. You will love Solitude. Listen to this album at CDBaby. The true greatness of a man shows up in hard times in managing personal problems. 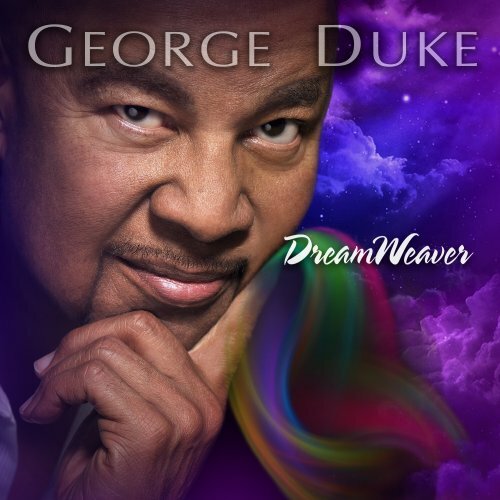 George Duke created DreamWeaver after his beloved wife, Corine, passed away. In light of this event, he found his inner balance during the recordings. The epic Onomatopoeia of the introductory piece is reminiscent of the legendary Genesis on Illusions. Stanley Clarke’s intimate playing style on the upright bass harmonizes excellently with Duke’s piano improvisation on Stones of Orion. The gentleness with which both masters of jazz outline the notes of the melodious episode, unparalleled. With Trippin’ George Duke takes a look back into his own youth, when he had the first contact to jazz, especially to Julian Cannonball Adderley. With a strong horn section, a funky guitar and the well-known keyboard George Duke succeeds the great appearance on the impressive AshTray. Of course, George Duke is also a master of the ballad, as he shows with Missing You. A piece that seems to be recorded with such ease and yet in view of the tragic event receives a bitter aftertaste. A little contemporary jazz, a little classical are some Middle Eastern seasoning are among the ingredients to The Passage (Mythology Records, 2013) by Ilia Skibinsky. The players on this date are Skibinsky, alto saxophone; Glenn Zaleski, piano; Edward Perez, bass; and Colin Stranahan, drums. A few guest musicians also contribute. And Skibinsky plays soprano sax on two tracks and piano on one. “The Passage, Pt. 1” launches the journey. It’s an energetic, yet tranquil piece that features the leader with two more horns, trumpeter Matt Jodrell and tenor saxophonist Matthew Silberman. The three mix and match for the melodic portions, then turn things over to guitarist Mike Moreno. Underneath it all, Zaleski, Perez and Stranahan get their grooves on. Afro Beat, Jazz, Smooth World and Cool: This music presents an approach which touches on all of the Major Genres. Raggae Latin, Afro, Funk, Blues, and Straight Ahead Swing. 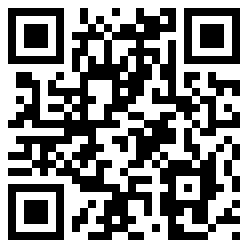 Listen to Kani Mambo at CDBaby.